It’s the last week of October and you know what that means! Totoro Week! If you know me (even just a little bit) you know that I’m obsessed with all things cute. 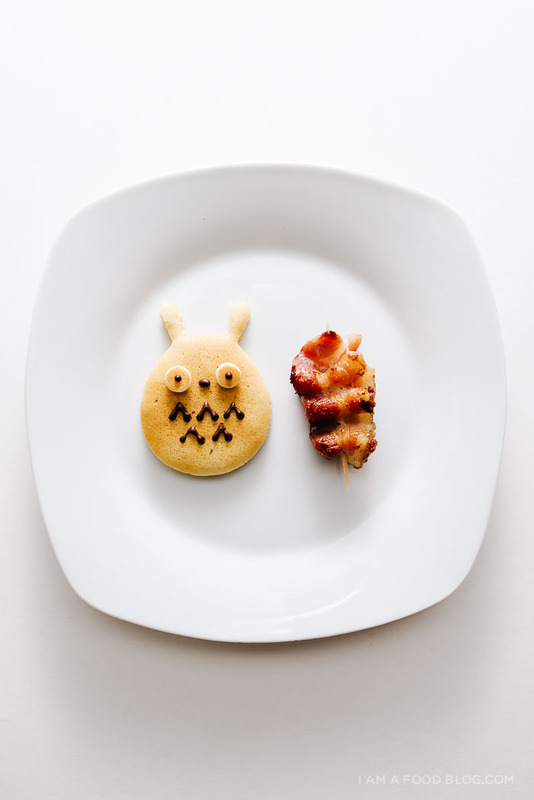 And of course cute includes Hayao Miyazaki’s Totoro! He’s furry, he’s friendly, he’s absolutely adorable. It’s been my lifelong wish to meet a totoro in real life. 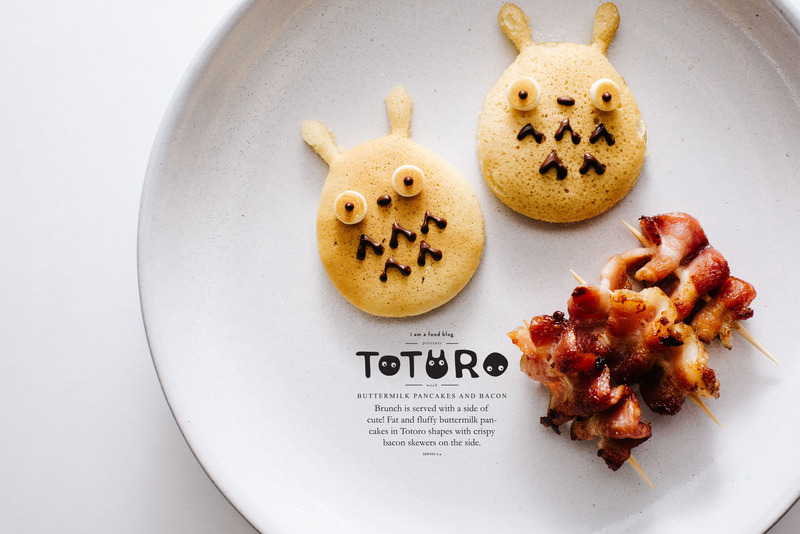 Since I don’t think that’s ever really going to happen, every October, I’ve been dressing up my food in a celebration of Halloween and Totoro. When I first started dressing up my food for Halloween in 2013, I made a Totoro Spam musubi. Last year, I asked Lyndsay from Coco Cake Land to join in and she did two awesome cake tutorials: Totoro and Catbus. (You can see my creations here.) 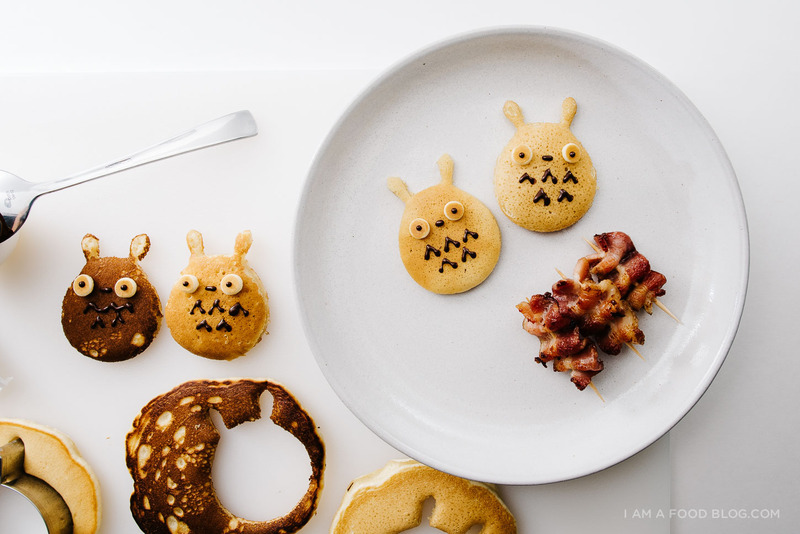 This year, Kaitlin of Whisk Kid is joining the party with Totoro Cronuts (!) and who knows, maybe next year Totoro Week will take over the world! I had to kick off the party with brunch and nothing beats pancakes and bacon together. You get sweet, you get meat, basically you can have it all. 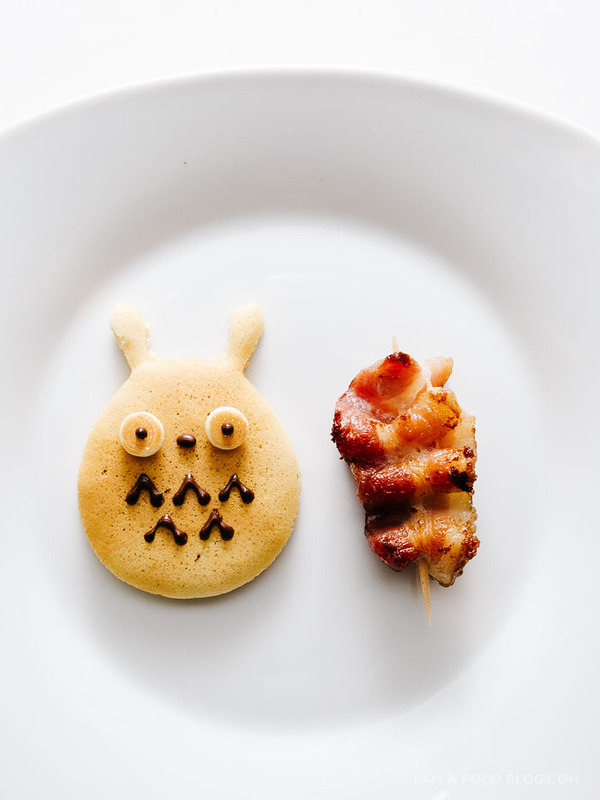 Last year I free-formed some apple pie Totoro pancakes, but this year I was inspired by this amazing Totoro breakfast and used a cookie cutter for a super clean cut Totoro. The best part of cutting out Totoros was snacking on all the outside bits. The second best part was making the tiny Totoro eyes! Hope you guys are getting your Totoro on! If you want to join the party, hashtag your Totoro creations on Instagram with #totoroweek and I’ll be sure to check them out. Don’t forget to come back for more Totoro – I’ve got some other kawaii stuff coming up! Don’t forget to check out Kaitlin’s Totoro cronuts, they’re absolutely amazing! In a large bowl, whisk together the flour, baking powder, baking soda, and sugar. In a small bowl, whisk the egg into the buttermilk. Add the wet ingredients to the flour mixture and gently combine with a fork. Do not over mix. This is a thick, lumpy pancake batter. 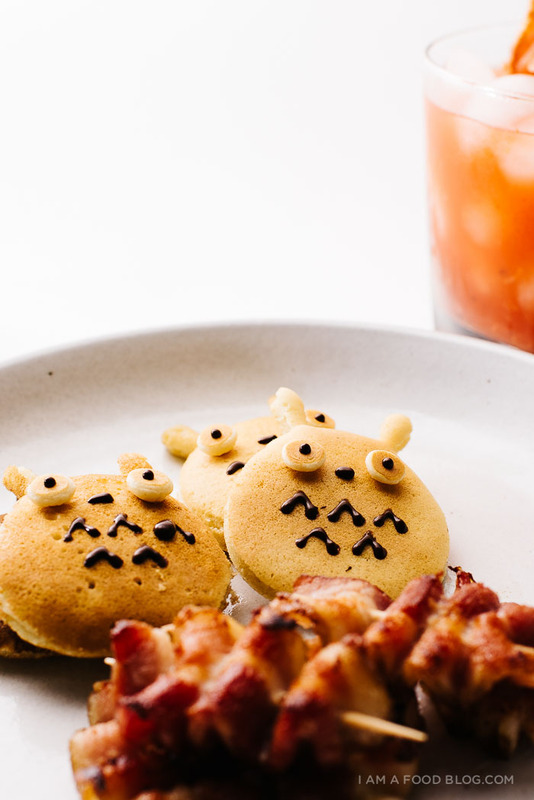 The little lumps will make your pancakes fluffier. Let the batter sit for 10 minutes some moisture works its way into the lumps. 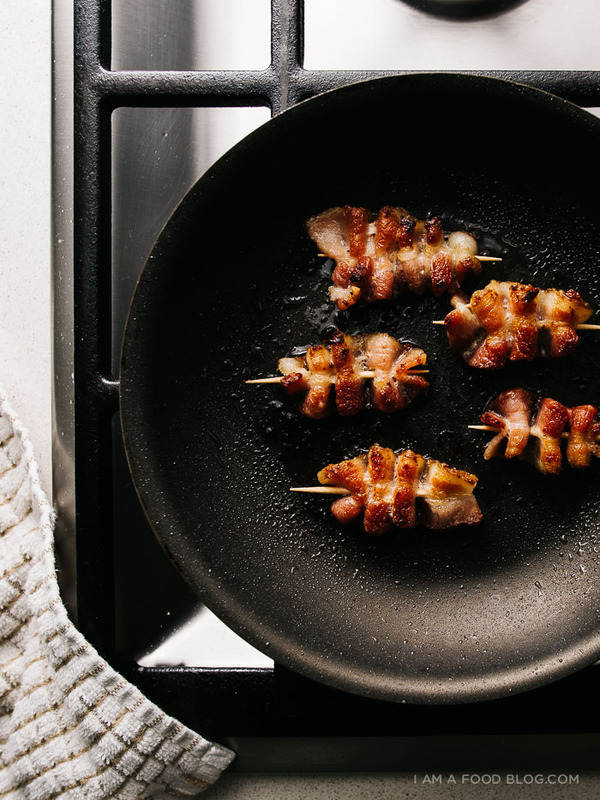 While the batter is sitting, cut your bacon strips in half and skewer each half onto a toothpick. Fry over medium heat until done to your liking. Keep warm in the preheated oven. 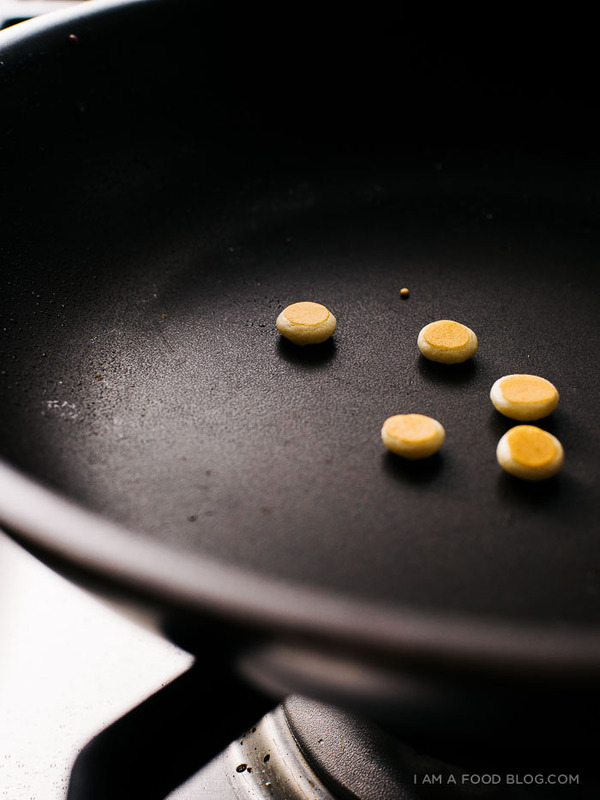 Heat up a non-stick pan over medium-low heat. Brush a thin layer of butter or oil on your pan. Drop the batter by the tablespoon into the pan and cook until small bubbles form on the surface and at the edges. The pancakes should be golden brown. Flip and continue cooking for 1-2 minutes, or until golden brown. Remove from the pan and place on a wire rack inside a baking sheet. Keep the cooked pancakes warm in the oven until you finish pancaking. Reserve some of the batter for eyeballs – you’ll only need a drop. Make as many as needed, flipping when golden. It should only take a minute per side. 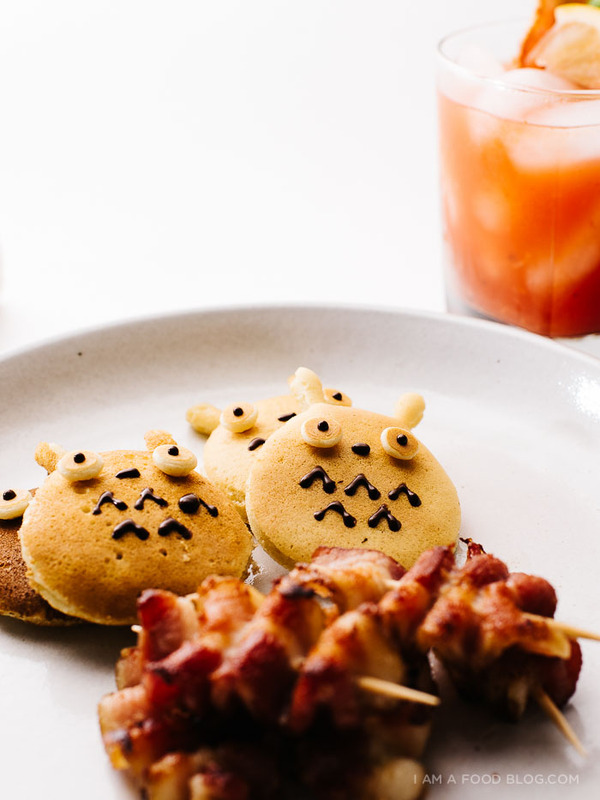 When you’re done making all of the pancakes and eyeballs, cut out your Totoros and put the eyes on his head and pipe in eyeballs, a nose and tummy whiskers. Enjoy warm with the bacon skewers! SO. CUTE. Ahhh so so so excited for this week!!!!!!!! K A W A I I ! ! ! ! SSSSsooooooo cuteeeee!!! 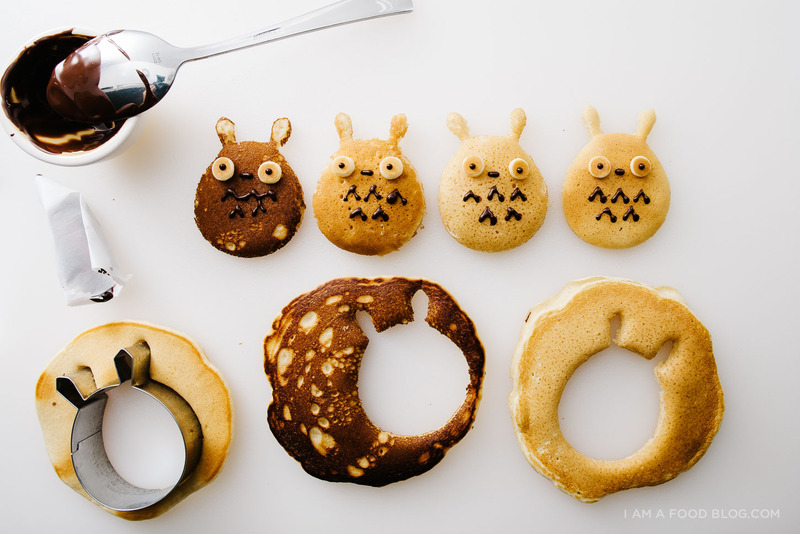 OMG these are so cute, I would feel bad for eating them. Ok so next year. I’m taking part in Totoro week. My name is Totoro is one of my favourite animated films, second to Ponyo and Pocahontas. 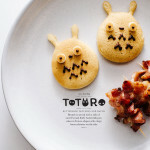 These look fab, I’ve put some Totoro biscuit cutters on my Christmas list! Aaaahw this is so cute!